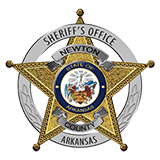 On the 7th day of June at approximately 11:00 pm, the Newton County Sheriff’s Office received a call for service at Norton’s Store in Piercetown in reference to a burglary. Upon Deputies arrival, the store owner stated that he had received an alarm call at his residence and had went to the store where he caught the suspect coming out of the store. The owner told Deputies that he followed the suspect to his vehicle where he yanked a mask off of him and he recognized the man and he then fled in his vehicle which was described as a white Chevrolet, towards the area of Mt. Judea. Deputies processed the scene at Norton’s Store where possible blood/DNA evidence was retrieved. While processing the scene, Deputies received a second call for service in reference to a vehicle that was on fire off of Newton County Road 6335 in Vendor. The vehicle that was on fire was a white Chevrolet and was consistent with the description given by the owner of Norton’s Store. Upon Deputies arrival at the vehicle fire, they located items that were consistent to items that were reported stolen from Norton’s Store as well as possible blood/DNA evidence located on these items. At approximately 1:40 am, Deputies located the suspect in this case and he was subsequently brought to the Newton County Sheriff’s Office for questioning. The suspect in this case confessed to breaking into Norton’s Store and wrecking his truck on NC6335. Shane Travis Middleton, 27 of Jasper, was arrested and charged with Commercial Burglary, Theft of Property, Criminal Mischief 1st Degree and Criminal Trespass. As of this release, Middleton is still incarcerated.